- measure the response, fine-tune, then repeat. The first step of course, is to have a website. Even if the shop catered to local customers, a website makes it easy for people to find us on the internet. The ad is to help jumpstart awareness for the website. This will target audience within driving distance of Joe's bike shop. The ad doesn't have to be fancy. A simple text ad is cost-effective for our purpose. "Bicycle Shop, North Shore" will make a good headline. We will then include details that will encourage people into visiting our website. The website, could be a generic blogger site, or a facebook fan page. It doesn't really matter, as long as it is updated at least once a week. The website copy is going to highlight what makes Joe's bike shop different from everyone else's. If it's quality service, then we show pictures of bikes being fixed, happy people enjoying a cup of coffee waiting for their bikes, testimonials. Joe can start a question and answer page where people can ask questions about bicycle repair and maintenance. Over time, this Q&A will accumulate and can be used as reference for future inquiries. One more reason for people to come back to the website. 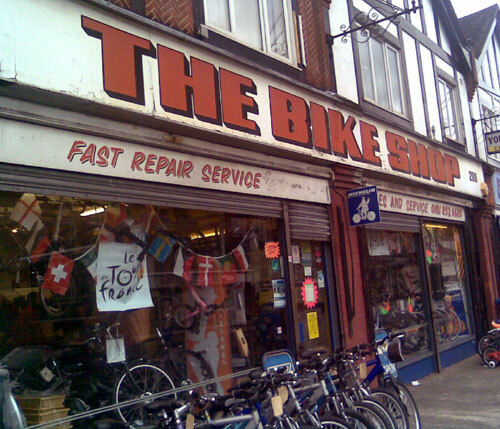 Or Joe can write about things that happen day to day in his bike shop. He can write about the Dad who wanted to buy his daughter a bike for her birthday. Or, a teenager saving up his allowance to buy himself a road bike. These human interest stories are magnets that will bring traffic to his website. With Joe posting content on his website on a regular basis, he doesn't need my help optimizing it for SEO. Each new content that Joe creates for his website will take care of that. Measuring response for a local business is easier, and Joe doesn't need an expert to help him with this. I can walk Joe on how to use Google Analytics. I can explain to him which metrics to focus on, like where traffic for his website is coming from. Soon as Joe has a good understanding on how he can be found on the internet, he can do away with the advertising. Local business owners will intuitively understand what social media marketing is once you explain it to them. It is what they do everyday--build relationships.